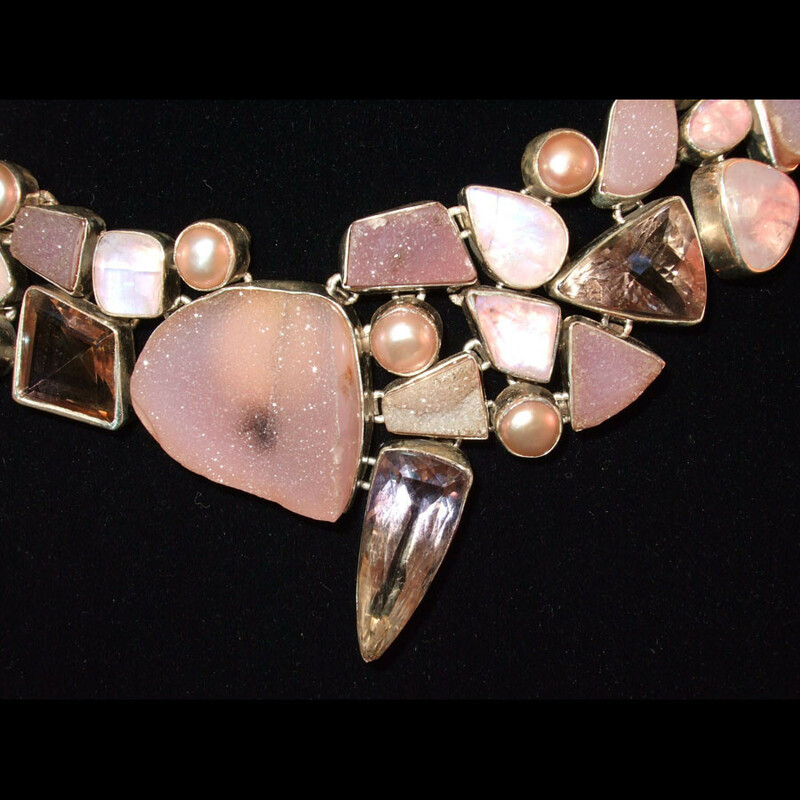 Absolutely stunning piece of Rose Quartz Druzy, Rose Quartz, Moonstone, Freshwater Pearl and Ametrine! The large center faceted stone is actually an AMETRINE. If you know your gems, you will know how unusual and difficult it is to get an Ametrine in this size these days! 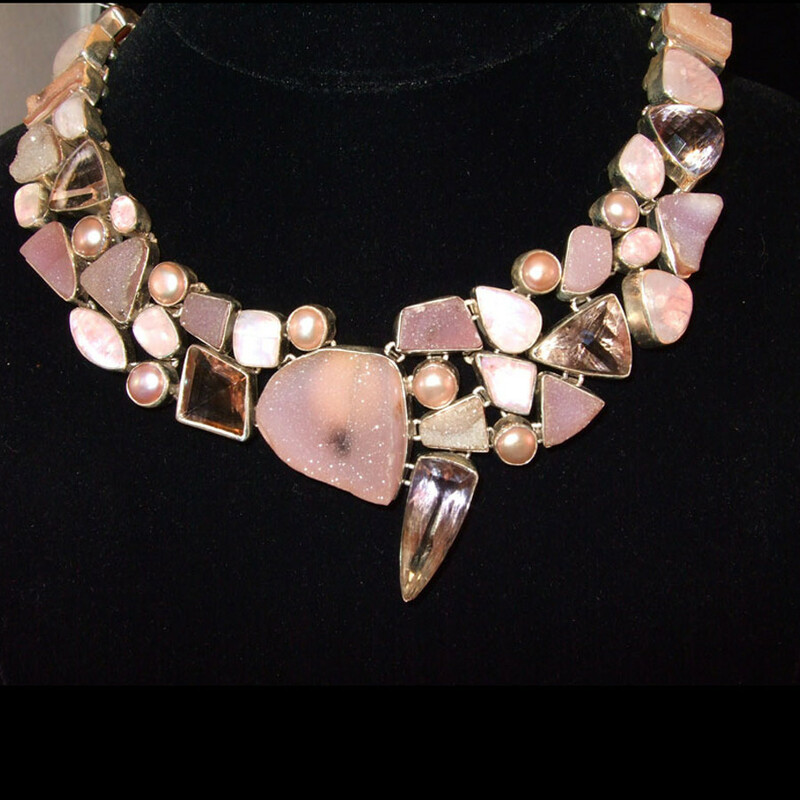 The other faceted stones are Rose Quartz and they are large stones also! 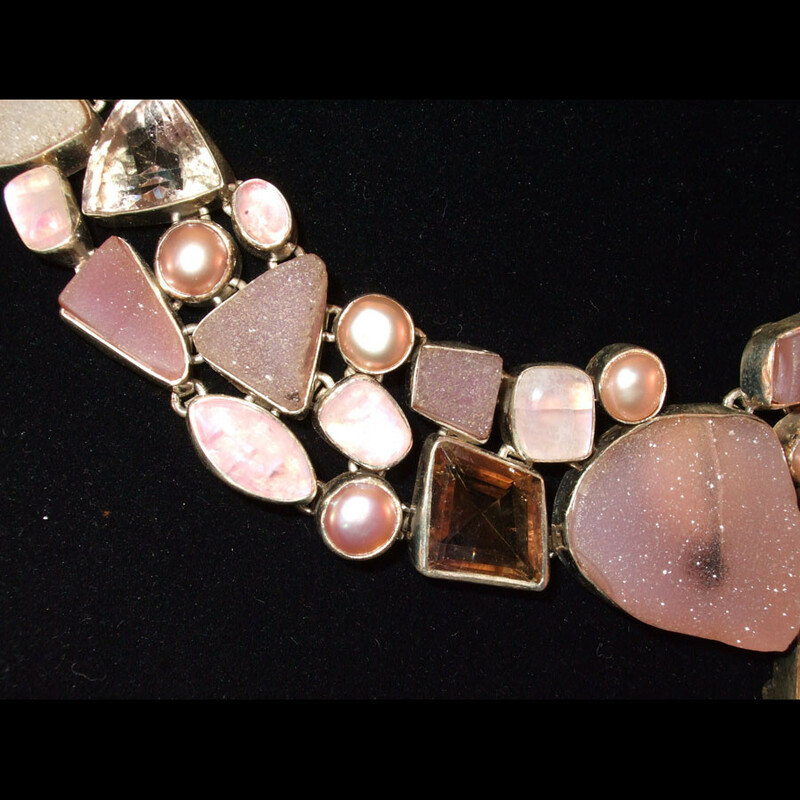 Rainbow Moonstone cabochons, pink freshwater pearls and Rose Quartz Druzys complete the gems in this piece. 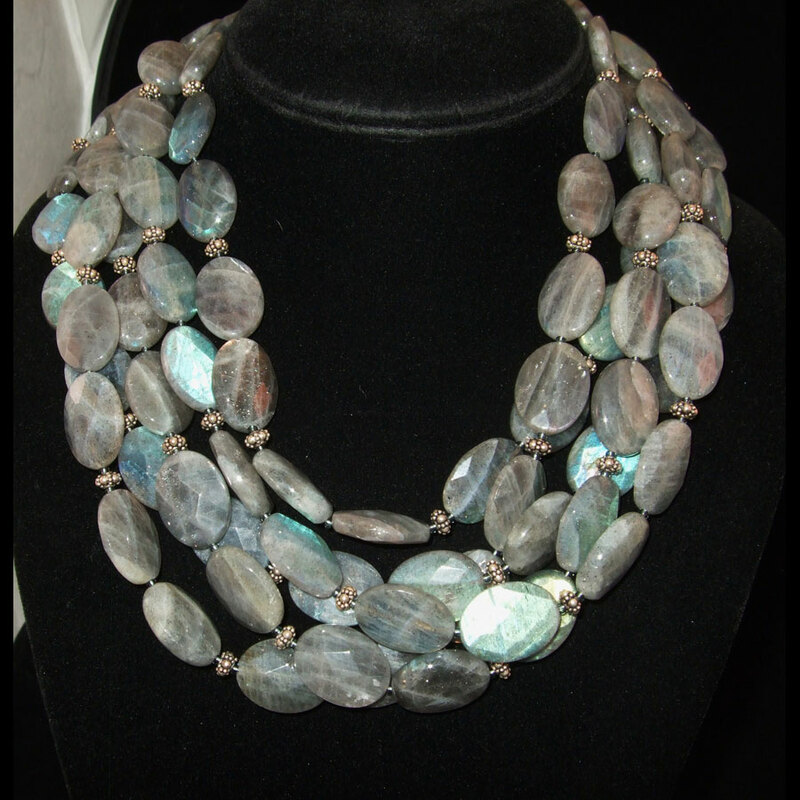 The workmanship in this piece is just amazing! Each piece is individually handset into top quality Sterling Silver. 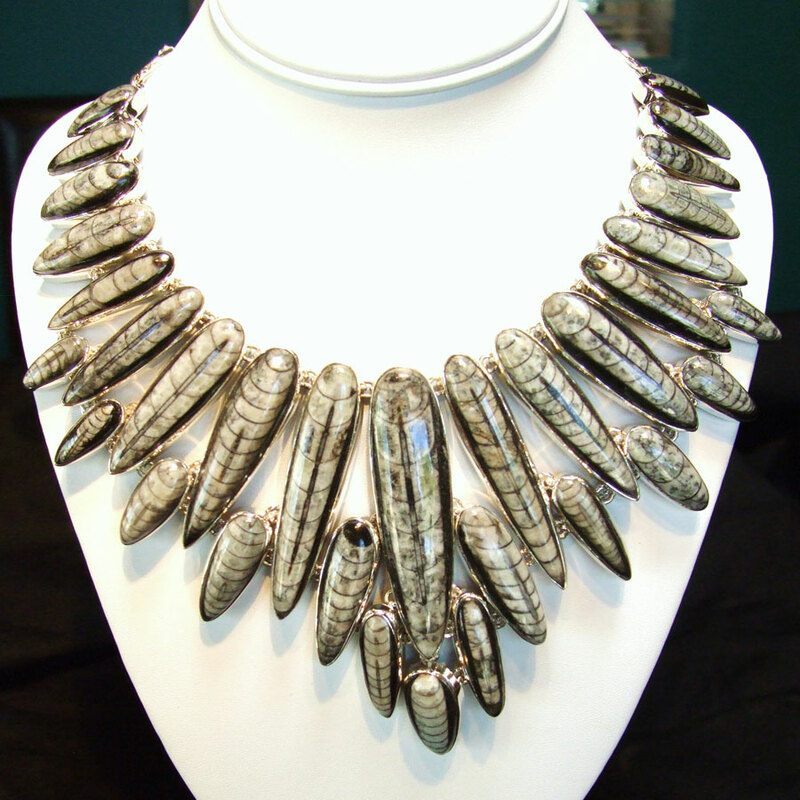 It is 17″ in length and finished off with a Sterling Silver chain and toggle clasp that lets you adjust the length! Wear it shorter or longer! I do have matching pieces to this, they are just not on the website yet, so if you are interested in this, email me for the matching bracelet and earrings! 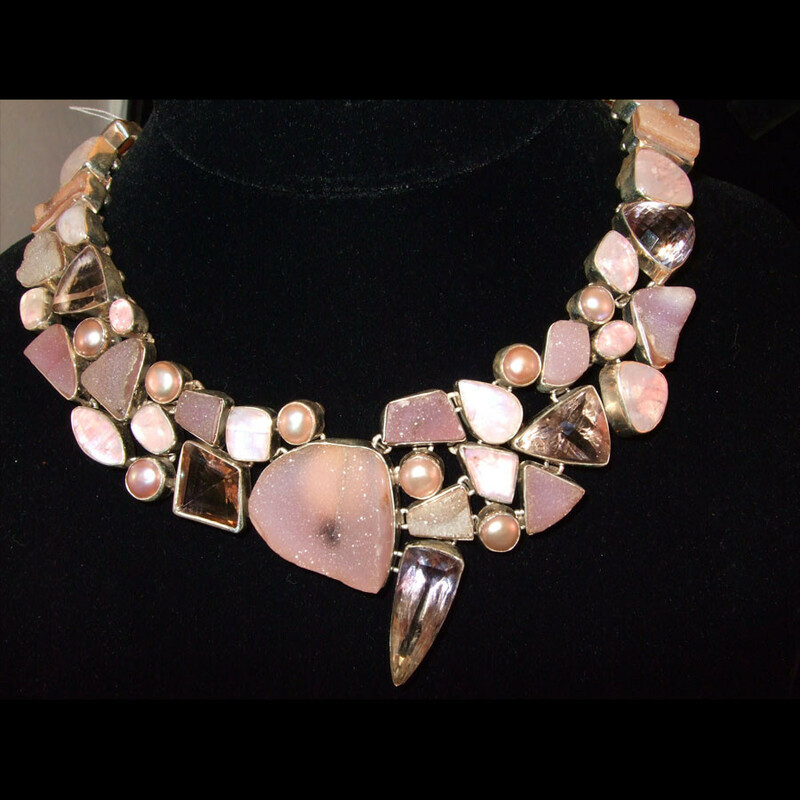 What a wonderful gift to give someone to honor them for Breast Cancer Awareness! Pink is the color for survivors and any woman would just be in awe to wear this!